The last morning, we arrived early back in Galveston. There wasn’t much left to do on the ship as most everything had closed. The buffet was still open, so we grabbed a quick breakfast and waited for our section to be disembarked (dismissed). The previous night we had everything packed and ready to go so when our section was called, we grabbed our luggage and rolled them downstairs and off the ship. We waited in a long line at Customs for about 20 minutes. Thankfully it filtered through quickly. 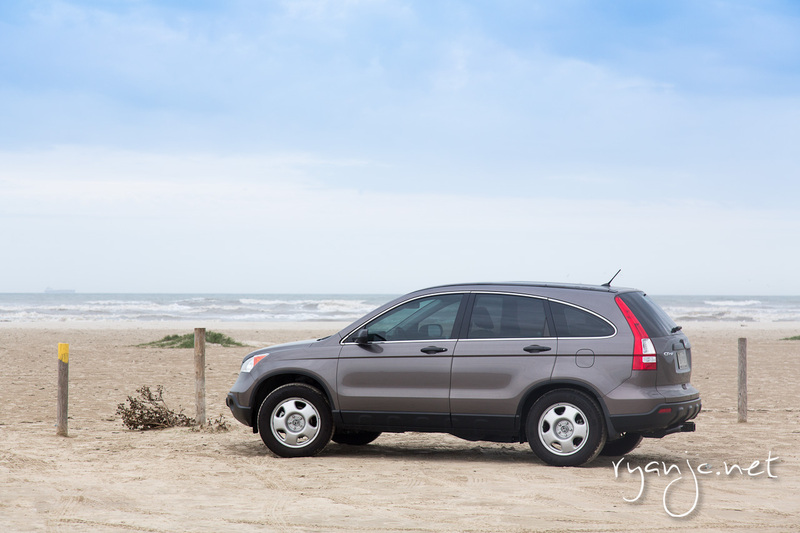 This gave us enough time to drive through a little bit of Galveston that morning and see what life was like on the island,drive past the medical school (UT Medical Branch), and check out some of the beaches. If you’ve ever been to Galveston, you’ll probably find that there’s not really much there, particularly when it comes to the beaches. The sand is nowhere near the crystal white beaches of Destin on the other end of the Gulf of Mexico and it’s not as pristine. Overall, a good way to end the week long pre-Christmas trip! I might add the following week of Christmas was a great way to enjoy another vacation from your vacation! All I have are two pictures from the beach. 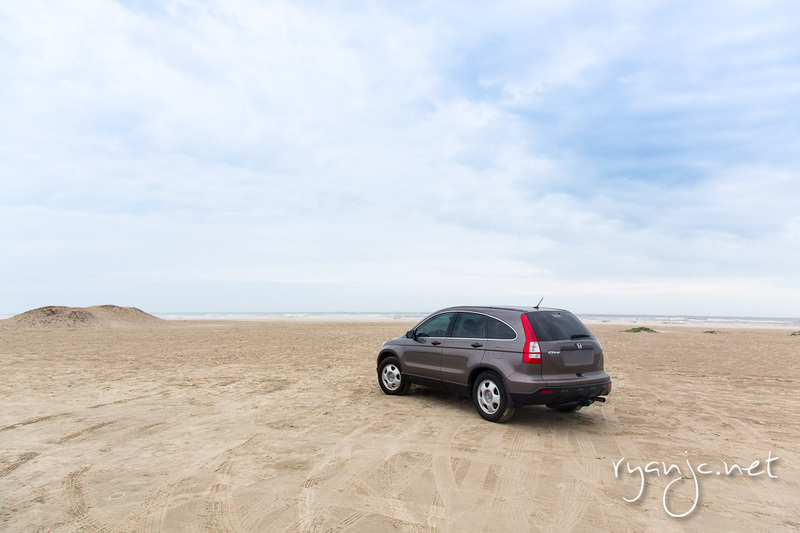 I thought it was pretty neat to be able to park just off the beach! After about 6 hours later (lunch in Houston), we were back to dfw!